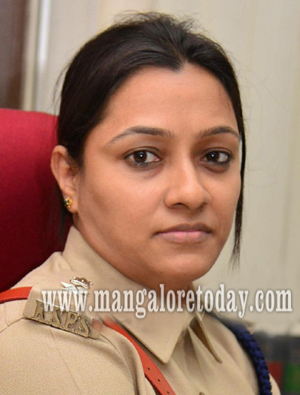 Mangaluru, Oct 4,2017: Uma Prashanth has taken charge as the new Deputy Commissioner of Police who will be in-charge of Crime and Traffic of the Mangaluru City Police Commissionerate. She has replaced Hanumantharaya who is now the DCP (Law and Order). Uma has earlier served in various capacities at Bengaluru and Kunigal and has also been the DCP of Karwar. Lets hope for the best, fight corruption . Welcome mam.